One of the best opportunities for contractors to find new customers is to use the power of SEO. Growing your contracting business with technology that progresses each and every day can be frustrating to keep up with. Sure, ranking at the top of search engines sounds good, but you need the best SEO firm for contractors to get the best results. Every day people search for contractors online, and with a presence, you can easily beat your competitors to the punch. The sky is now the limit. You don’t have to be held back anymore. The web has helped make endless possibilities. It’s open 24 hours a day and your customers can get in touch with you at any time. We can help your business take advantage of this. Give your website a rush of targeted traffic. That’s right! You can use SEO to your advantage by driving the search engines directly to your website. Once customers have reached you, you can transform them into leads that will have a valuable impact on your business. Take your business to the top. The place your website needs to be is in the top spot when people are searching for what you offer. By doing this you’ll be able to give your bottom line something to thank you for. Ready to work with the best SEO firm for contractors?  Contractor Marketing 911 has extensive experience when it comes to delivering contractors exactly what they need. We’re not only one the best SEO companies for contractors, but our team has the skill-set to surpass other agencies. Just get in touch with us to see how we can help boost your business!